View More In Effects Processors. Mini and portable appearance, space-saving, and metal shell is firm and stable, durable in use. Providing perfect vibrato effect, adding adjustable effects to your music to make it more attractive. 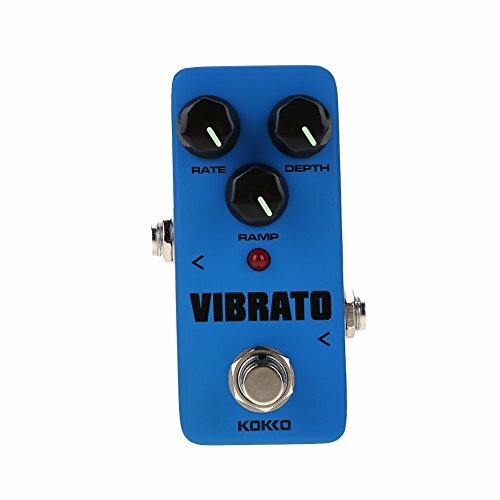 RATE Knob: Adjust the sweep rate of vibrato effect. RAMP Knob: Setting the attack time of when vibrato effect coming, minimum for instant coming, maximum for slow coming. DEPTH knob: Control the intensity of vibrato effect. ON/OFF LED light for indicating effects or bypass status. If you have any questions about this product by Vbestlife, contact us by completing and submitting the form below. If you are looking for a specif part number, please include it with your message.